One of the main causes of conflict with in-laws is jealousy. Start by analyzing your own feelings towards your in laws. May be you are jealous that your spouse gives too much importance to them-which is, really, very natural. Therefore, some of your (as well as their) judgmental behavior might be stemming from such feeling of possessiveness you feel towards the spouse. As mature adults, take a moment to realize this. This is one of the first steps that can lead you to an easy going relationship with your in-laws. If you feel that your in-laws are constantly interfering, criticizing or bullying you, it is time you talk to them. This might be the hardest thing to do, but it can certainly yield results. Be calm when you speak- if you find yourself getting angry, take a deep breath and count down from 10 to 1. It is also very important to avoid becoming argumentative. Explain to them how you feel due to their constant interference. Gently tell them that you will certainly consider their advice but that you would want to take the final decision yourself. Invite your mother-in-law or sister-in-law to go shopping with you or join a workout class or support a noble cause like volunteering for charity etc. 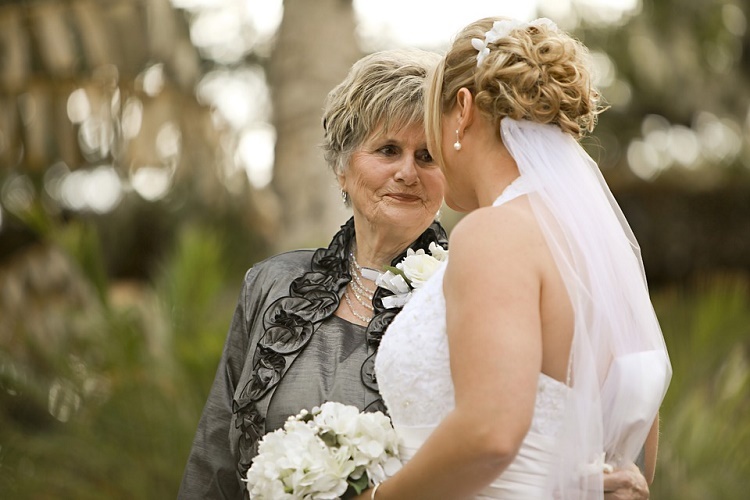 This easy way to handle in-laws can help you bond as you work together towards a common goal. People who smile a lot are always more approachable than ones who have a serious or angry expression all the time. This is even more important in relationships with in laws. Smile all the while even if it is a fake one. Do not let their behavior affect your happiness. Become immune to their taunts- you cannot change them but you can certainly change your attitude of dealing with them. You can immerse yourself in work (outside or at home) so you do not have time to deal with them. At the same time, make sure you help them out with household chores; especially if you are living together. Help your in-laws out and be of service to wherever you can. Buy them small gifts from time to time. When you do this with a smile, there is no reason why they will dislike you. It may not be the easiest ways to handle in-laws, but it is a proven way of winning people over. In majority of the cases, in-laws, especially the senior citizens, want someone to talk to them. Chances are they are very lonely and want you to lend them a helping hand or just a ear to listen every now and then to or a shoulder to cry on. So go on-play therapist for a while and see if that gets them to like you a bit more. If these easy ways to handle in-laws still lead to conflict and stress, it is best to stay apart from the in-laws. Talk to your spouse to see if s/he agrees. If you can financially afford it, it may be the best thing to do for your marriage. Gently explain to your in-laws that you need some space and that you will always get-together during the holidays. No matter how bad a day you have had, do not let your in-laws see that. Stay polite as far as possible. Even if they challenge you to lose your temper-don’t. Go for a walk until you cool down. If possible change the topic; compliment them (your hair looks great, that’s a fantastic shirt you are wearing etc!). Try and remove the stress that may be causing the conflict- perhaps you both hate housework and feel you are doing everything all by yourself. If possible outsource the work to a hired help. Get someone to help you with cooking, shopping etc. If needed, go out for lunch/dinner. This will ease the tension up a lot. Your in-laws will take this very personally- so do avoid saying negative things about your spouse in front of your in-laws. Talk about positive things always. You can change your entire family’s outlook by remaining strong, positive and upbeat yourself. This is one of the proven easy ways to handle in laws. Imagine as if you are an outsider viewing a movie. In the movie-your in-laws may be shouting and saying things to you. But since it is a movie, you watch it from a neutral perspective-it is not happening to you but to the character in that movie. This attitude can help you handle not just in-laws but also any other people who dislike you, at the workplace. It may not be the easiest method, but with practice, you can perfect it. Use these 10 easy ways to handle in-laws who dislike you and see how your relationship blossoms.